Q. Master, please tell us how to keep the love and blessing that You give us in order to help others? A. We have to meditate; it is really like that! We have to change our concept and put our focus on meditation. We must meditate! We have to put aside any matters that are not important. We cannot say, "Everything we do in daily life is meditation." This is only possible when you are all alone in the mountains, with no one bothering you, no need to worry about survival and not having to interact with anyone. While here, if you wish to help anyone, you must meditate for at least four hours each day, not just two-and-a-half hours. Meditating for two-and-a-half hours is only sufficient for yourself, and sharing a little bit with others. If you want to help others or want to help by my side, you have to meditate at least four hours. So the answer to your question is very simple: just meditate. Meditation is very important. You absolutely need to meditate. It is not because I tell you so; it is because if you don't meditate, you would be spiritually dead and your body would be exhausted. This is really true. I am not joking! You must realize this point from today onwards. 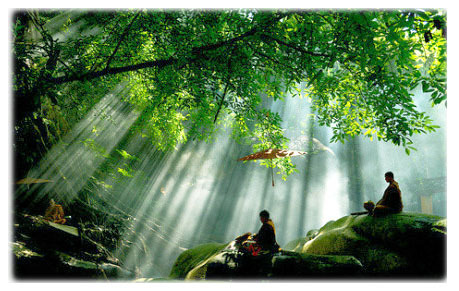 We really must meditate diligently; meditate whenever we can, even just for five minutes is good. Even if just for two minutes, we still have to concentrate. When working, recite the protective Holy Names whenever we can to protect ourselves at all times. Otherwise, we are in a world that is full of heavy pollution and very strong destructive power; we could be harmed at anytime. Even though we are vegetarians and benevolent, we can still be affected. Therefore, we can only protect ourselves by meditation, chanting the Holy Names, and being focused in the mind. Especially at this time, there are numerous trials. If the world does not change, the end will come very soon. So we must meditate as much as we can. Truly, it is only for helping the world that I let you to go out to work. Otherwise, if there were no such problem as the end of the world, I would have advised you to meditate all the time, because if we do not meditate enough, we cannot help the world either. 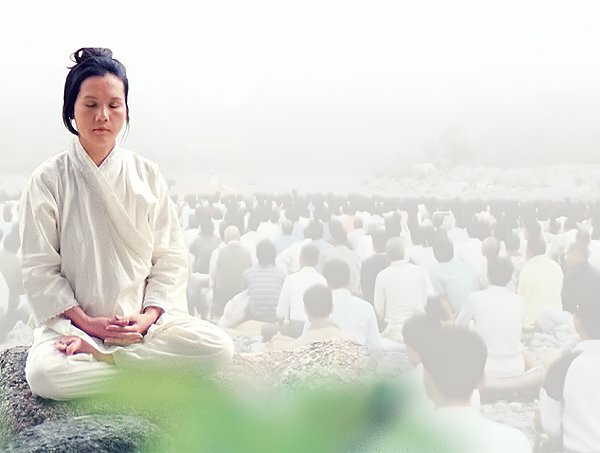 If the people around me do not meditate enough, it is very difficult for them to help me. They are not helping; they just idle there and let you do the work. They occupy your space and time, and drain your attention so that you cannot focus your mind. This happens if we do not meditate enough. We cannot help even if we want to. So, if you want to help others, first meditate for four hours, depending on how much you want to help. For the people living here, working for me every day, the more they do my work, the more they need to meditate. At least four hours. In your case, two-and-a-half hours to three-and-a-half hours is okay. Anytime you want to help more, you need to meditate more on that day. Simply meditate diligently at all times and save it up for use in case you are in need due to shortage.